The Residenza Parco Letizia, erected on Ruvigliana hill, is surrounded by a bouquet of colours and perfumes in a lush garden. Cypresses, palms and flowers vibrate under the sun and, when the evening comes and everything becomes silent, illumination brings life to a new scenery that leaves you breathless. 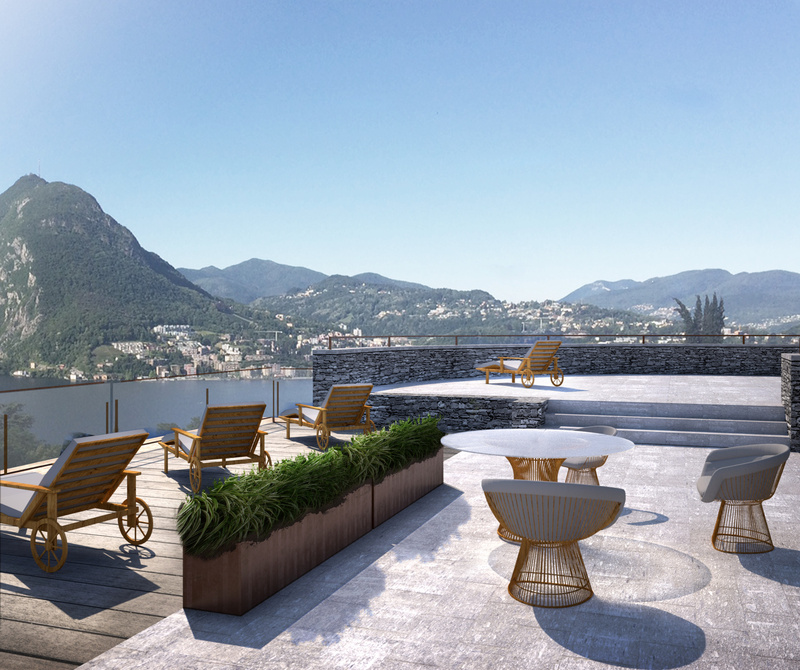 A prime location facing South, overlooking the Gulf of Lugano; an asset that increases in value over time. A design conceived with passion by Studio d’Azzo Architects Associates. The general contractor is the company Garzoni SA, a family business based in Lugano with 50 years of experience in the industry. 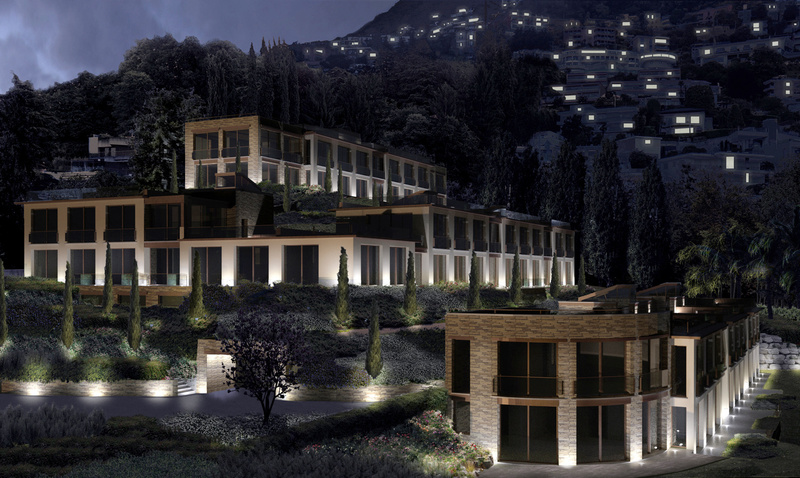 A product of excellence created by the cooperation of carefully selected local architects, landscape conceptors, lighting designers and artisans. Professionals and designers will accompany you in the choice of materials and details with the possibility to delegate the organization of the artisans’ work to the general contractor. Private gardens or terraces have been designed with great care, expanding the living space to appreciate the beauty of the place. 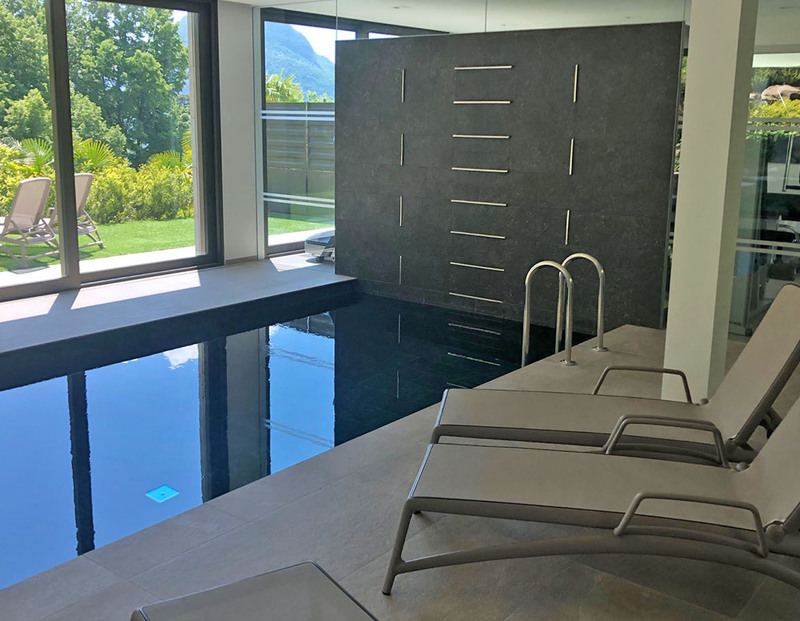 To offer an exclusive relax, ample spaces have been created, with large windows, including indoor pool 6x3.5m with jet to increase strokes, dressing room and relaxing corner, sauna, Turkish bath and fitness room with last generation Technogym equipment. 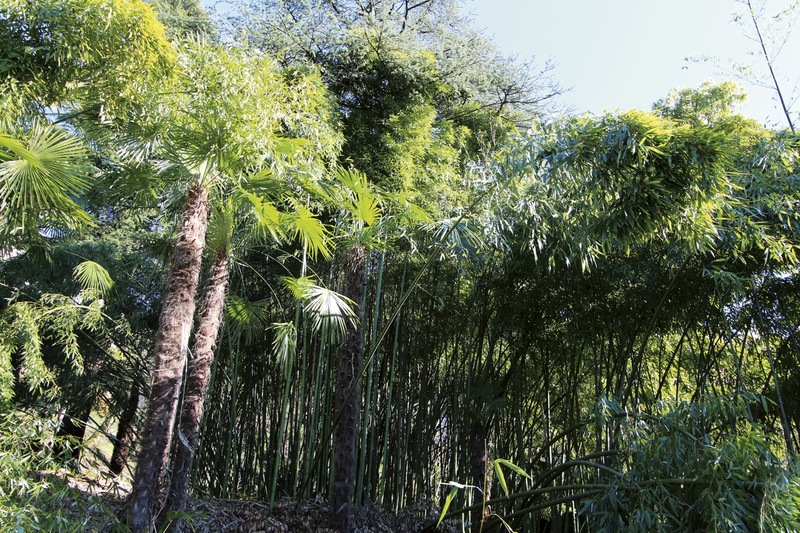 A corner dedicated to meditation, among palms and bamboos, complete the structure. A residential property, unique of its kind, the light touches delicately the stones of the walls and life embraces a new dimension. Public transport (bus and tram), supermarkets and schools nearby. A professional team will take care of the general maintenance, as well as of terraces and gardens. The well-being of the residents is very important for us. 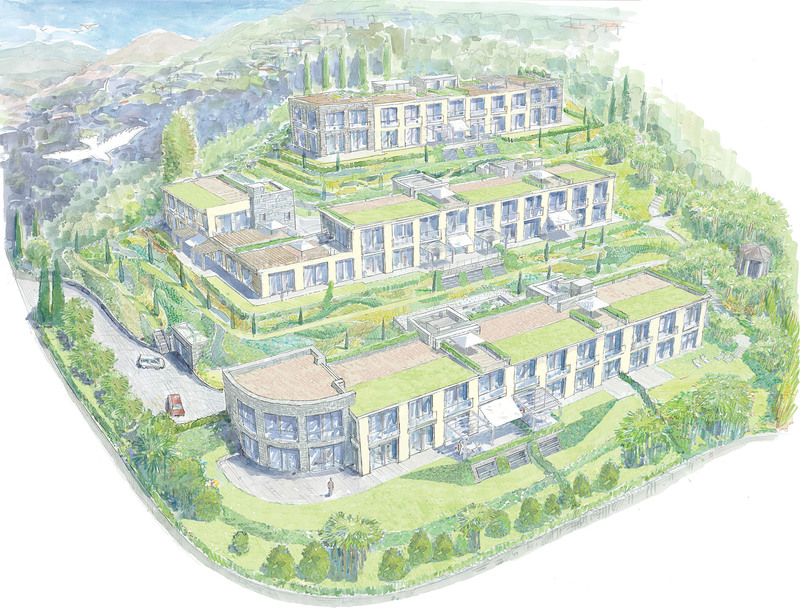 Residenza Parco Letizia is an ideal place to live, far from any stress, in the middle of nature suspended between sky and lake. This is what we propose: a tale of pure beauty that becomes reality.